Ballymena Leisure Centre hosted the ‘B’ final of this years Divinsion 1 Aquasprint League on Friday Night. 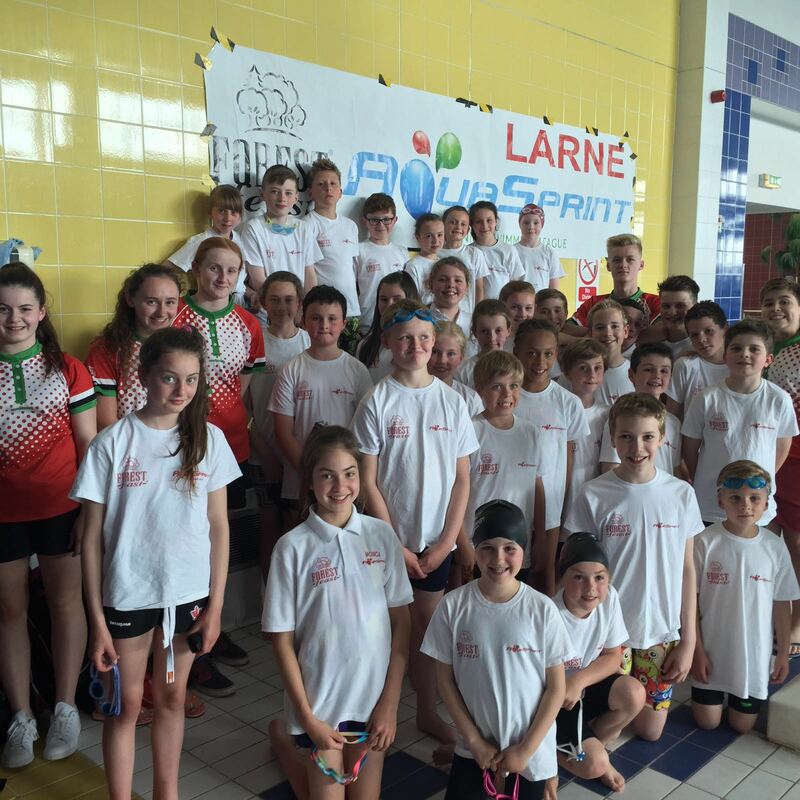 Larne came into this meet with a slim chance of avoiding relegation to Div 2 after a tough season for the youngest competitors in the club. Aquasprint is a short format gala with an emphasis on team spirit and enjoyment in an environment that has a slight competitive edge. Over the course of the season we have seen huge improvements in the skill levels on display and, more importantly, a team spirit and enjoyment of the aport of swimming that bodes well for the future. Sarah Moore has done a fantastic job with everyone and the addition on Fiona to the staff can only be the beginning of an exciting time for the team. The whole team has improved beyond recongition from that 1st meet of the season.